Villagers are planning to seek compensation from the KNU and state government for land confiscated by developers for a palm oil plantation project in Tanintharyi Division. Saw Poe San, one of the petition leaders from the Southern Youth Organization, told Karen News. Saw Poe San said that a 1,400 signatures had been already collected since December 4, 2014. The petition included 11 villages – Thein Byin (Tapokhee), Ka Wutt, Bawsanway (Baw Tanaw), Pyin Katoe (Pwee Palaw), Ayoe, West Kawtmapyin, Pawouttar, Mayonga, Hein Latt, Kone Tharyar and Kyaukseik, whose lands were confiscated for the project. The main request outlined in the petition is an appeal for compensation for loss of their land and to reestablish land boundaries owned by the villagers so nobody can go in and take their land. 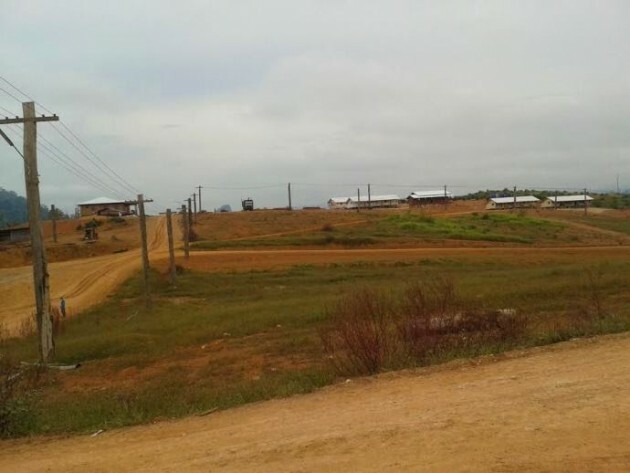 The Southern Youth Organization, alleged that Myanmar Stark Prestige Plantation Company (MSPP) from Malaysia obtained permission from the Burmese government in 2011 for its palm oil plantation project with the investment license number 457/2011. Permission was given to MSPP to use 42,200 acres of land in Ka Wutt- Kawtmapyin area in Tanintharyi region. So far, MSPP has cleared 2,000 acres of land and has started planting. Most of the land for this project is under the control of the KNU’s Megui-Tavoy District. The KNU Megui-Tavoy District chairman, Padoh Saw Bee Ler, said. According to villagers in the Tanintharyi region, more than 40 families from Bawsanway village and eight families from Thein Byin village lost their land and plantations including betel nut trees, cashew nut trees and coconut trees to make way for the palm oil [Myanmar Stark Prestige Plantation Company] plantation.